The ‘Trail by Fire’ expedition were named as the winners and are the recipients of the £30,000 bursary which will fund their expedition through the South American Andes to study volcanic gases in the region. In the largest expedition of its kind the research will improve the understanding of how volcanic gas emissions contribute to the Earth’s atmosphere. As part of the bursary the expedition team of volcanologists will also have the use of a specially modified Land Rover Defender throughout their 2,5000 mile journey. The expedition vehicle has been specially modified by Land Rover’s SVO team at its Oxford Road facility in the UK. Modifications to the Defender have seen it become the world’s first mobile volcano observatory. Key modifications include the installation of a Delta Ray spectrometer, an uprated power supply, a synthetic winch, increased security, LED lighting and a side deployable tent for overnight accommodation. 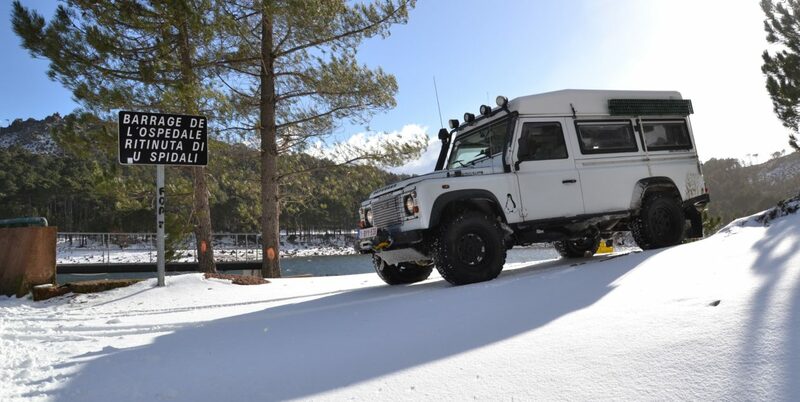 The researchers, from some of the world’s leading universities, participated in extensive training at the home of Land Rover Experience in Eastnor, UK under the guidance of expert instructors to ensure they will be able to cope with the challenging conditions they will encounter.